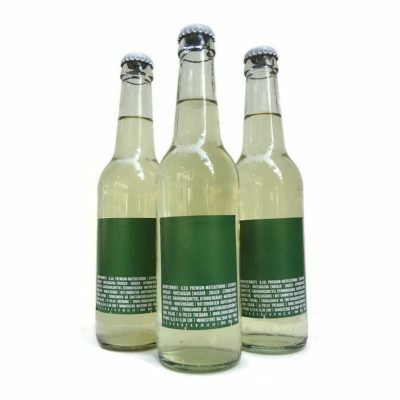 Ideal for new mate drinkers, or those looking for the maximum health benefits from mate. The low temperature procedure used to dry this mate preserves the nutrients and creates a gentle herbal tasting mate that appeals to tea drinkers as well. Also suitable for using as a booster in other drinks and foods. Meta Mate Raw is hand plucked from forests protected from contamination, frozen to avoid oxidation and dried in very low, controlled temperatures. 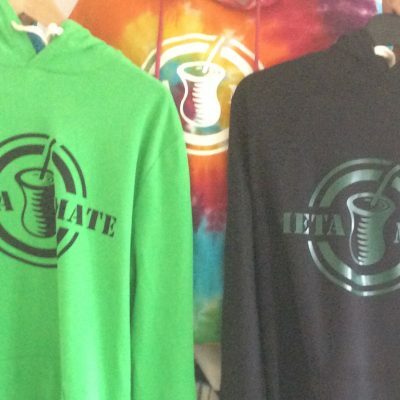 This fibre-cut is a novelty that Meta Mate is bringing on the market. It has a gentle, smooth flavour and an earthy fragrance and is unlike standard Argentinean stored or Brasilian grassy mates. Due to its unique processing method, this Mate is known as the edible mate and can be sprinkled on your favourite salad or mixed together with student-futter to energize your meals. 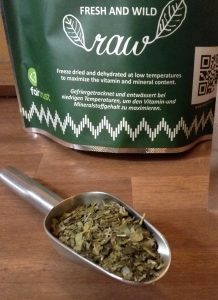 This Mate can also be prepared as a traditional tea and has a light algae-like taste to it and lends itself to easy cuia and bomba preparation, however, a true chimarrao drinker might prefer it’s edible capacities. This Mate is in the process of being demeter certified and we improved its quality in the Meta Mate Raw Ultra: ONE OF THE MODIFICATIONS MADE IN THIS PERIOD IS IN THE PROCESSING OF TRITURATION. 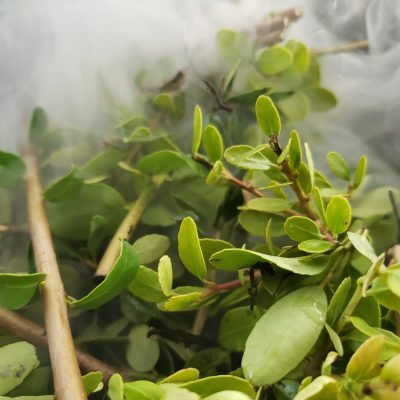 THE NEW PROCESS ALLOWS THE LEAFS TO BE MORE INHERENT, LESS FIBROUS, THIS ENSURES A BETTER CONCENTRATION OF THE SUBSTANCES LIKE THE ANTIOXIDANTS, IN THE LEAFS. YOU CAN VERIFY THE SMALL LEAF PIECES WHERE THE DIFFERENT SHEET COLLECTIONS DEMONSTRATE. SEE THE FILM BELOW TO SEE META MATE RAW NEW QUALITY, THE LOWER ONE, DARKER THAN THE FORMER. 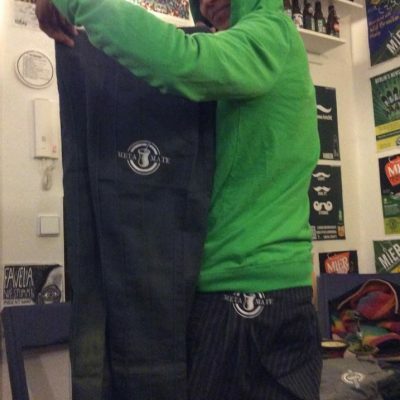 Learn more about this mate here . 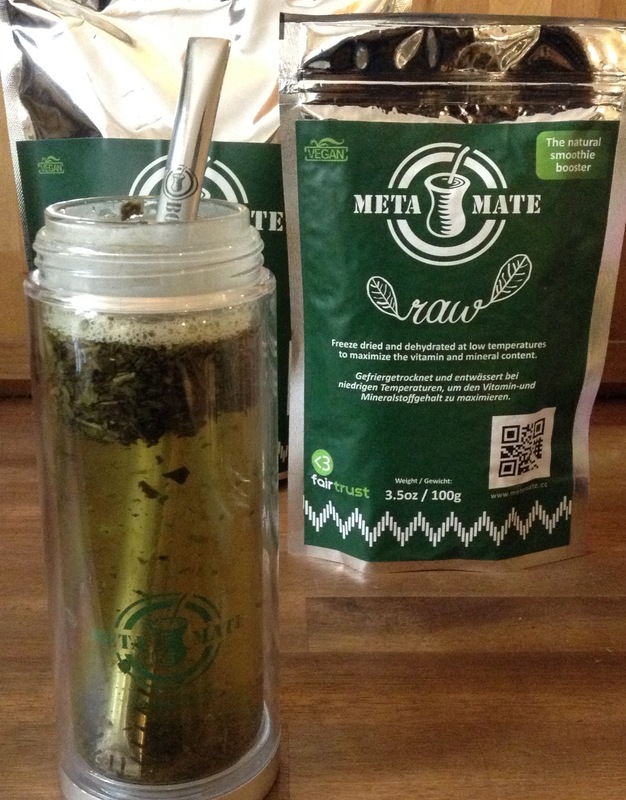 NUTRITIONAL INFORMATION: This mate is rich in vitamins and minerals, for example, the protein content in Meta Mate Raw is 14,93 g / 100g in comparison to standard mates that have an average of 10.89 gr / 100 gr according to “El Libro de La Yerba Mate ” from Karla Lorenzo. It also has higher theobromine and magnesium levels than other mates. 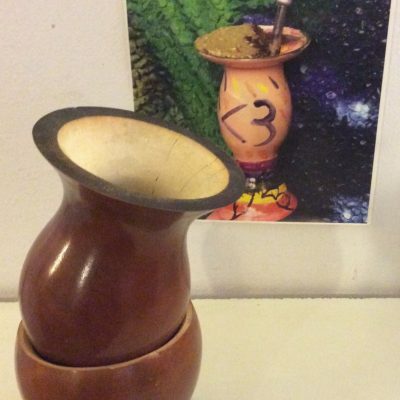 For those concerned with the PAH contamination of Mate, this mate has the lowest levels of all tested, 0,58 Mu/Kg Benzoapiren in comparison to 8 to 20 Mu/Kg from conventional Mate. As it is a natural wild harvest, every tree differs so it is not possible to establish the exact values, however based on research with the Beuth University and the Sophia Labs we can ensure that this is the most pure mate on the market and trough the low temperature of drying it conserves the minerals and antioxidant capacity as no other mate. 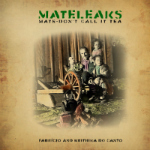 I feel very privileged to have sampled some of the very early raw mate courtesy of Fabricio, it is really unique stuff! It is a very nice, mellow yerba, which smell reminds a nap in a freshly made hayloft. It has a grassy taste and hue, acts soft and feels sterling. I added the yerba also to the rye bread when baking the loaf. It gave an interesting absinthian undertone to the final product. Thumbs up! Quick review of unsmoked Meta Mate Raw leafy is really good, no bitterness super super fresh you can taste the forest directly in this yerba. I must said that I never try a fresh yerba like that before. If you don’t like bitter yerba mate Meta Mate Raw Unesmoked is a go for you salud. Review: Meta Mate Raw – Exceptional! Review of Meta Mate by OrganicMate.Net. 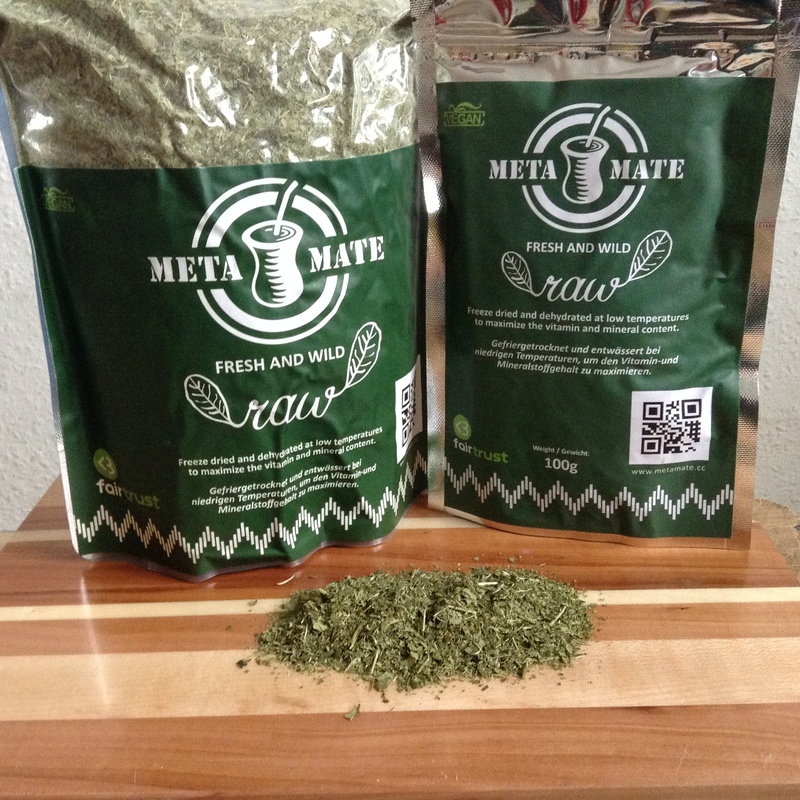 Meta mate raw is absolutely the best yerba mate I have ever drank, if not one of the finest natural beverages I have ever consumed… and I have consumed A LOT in my years. A friend and fellow yerba mate lover passed me a few new varieties to try not too long ago. From super roasted to organic, traditional, he provided a varying (and gratifying) array so to expand my experiences and knowledge as yerba mate in Toronto is still a burgeoning and lesser known beverage here. Among them were some likes and dislikes, but one that really stood apart and really opened my eyes and senses was Meta Mate Raw. I have been a constant consumer of Guayaki Yerba Mate for over decade now, and find it to be the tastiest, cleanest, purest, and most satisfying yerba mate available in Canada. I have tried the lesser expensive, bulk bag mates from latin american stores within the city, and all have been decent to very good. But none compared to the “organic fair trade” quality of Guayaki (though it is sometimes difficult to find the brand here; I’ve even had it shipped a few times from Vancouver). 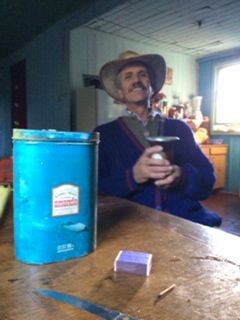 Yerba mate, by its nature, is susceptible to taste and quality adulteration, and the other brands always tasted spoiled with pesticides and other contaminants. I am a sommelier and foodie with fine tasting abilities and to me, Guyaki was the best…. 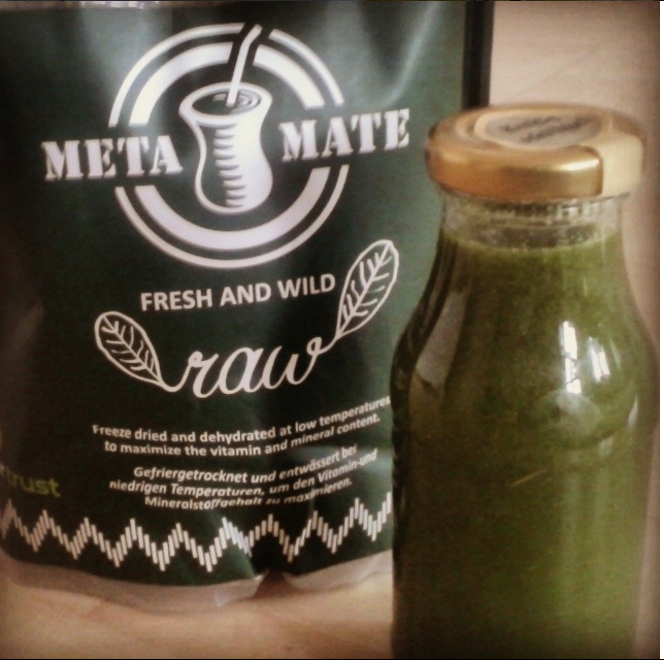 Until I tasted Meta Mate Raw. This is yerba mate on a whole new level. The aromas are quite unbelieveable. 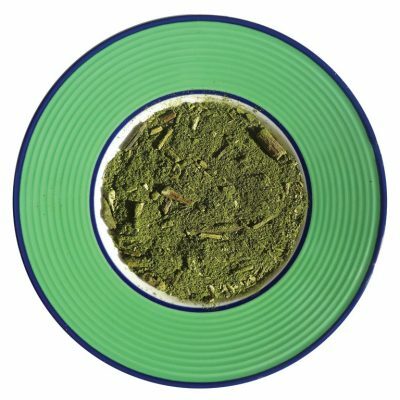 Whereas normal mate is green and herbaceous of dandelion greens, wood bark and smoke, with some wet wildflower notes; Meta Mate has some of those green, herbaceous characteristics, but also additional more complex levels of amazing stone-fruit notes of peach and apricot, and deeper floral notes of violet and lily. 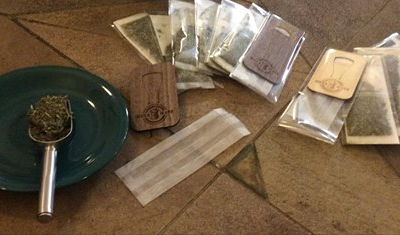 I did NOT think I would ever experience these types of aromas from yerba mate, nor any other type of green tea. These lend heavily to the wonderfully complex, smooth and tasty yerba mate that is produced from Meta Mate Raw. To preserve the tea’s phenomenal purity and quality , naturally, I pre soak the tea in cold water first, beginning the infusion process and protecting it from the damages and danger of excessive heat. Then pour over the off-boiling water, steeping for 5-10 minutes in a glass/stainless steel french press… I like my mate lighter, in a more “western” brewing style. The taste of Meta Mate compared to other mates, to me, is the equivalent of a Grand Cru burgundy to other types of pinot noir. It is just THAT much better than the rest. 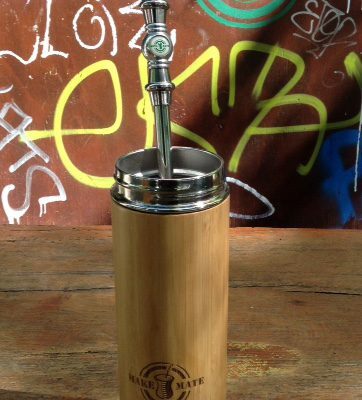 What this yerba mate is, is pure tea enjoyment, giving immense feeling of well-being AND vitality. I have never had anything like this wonderful beverage. 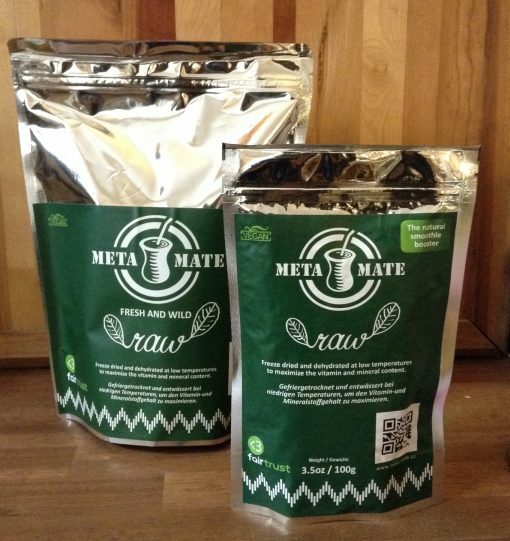 Meta Mate Raw goes beyond what probably any other tea has: it is a masterpiece of a health drink, with taste like nothing else. You definitely should read how it produces . After that you will get better understanding who and why create this technical miracle that take the best from nature and bring it fresh and wild on your desk. First time when i see that i could eat. Main things is taste. I think it is unreal to describe or compare. It hard to compare unique things . Only one way is just try it by yourself. It is “champagne of mate”. 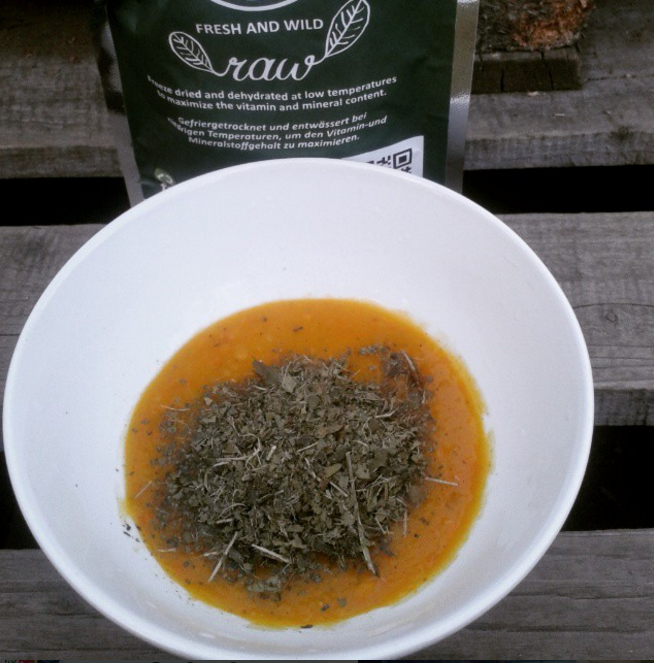 I like that i could experiment a lot with Raw mate while i’m cooking. Meta Mate ist der einzige in Deutschland erhaltliche Mate, der wild gewachsen und von autonomen Bauern von Anfang bis Ende produziert wird. Unsere Mates werden von brasilianischen Bauern mit Yerba Mate Holz gerauchert und traditionell getrocknet. Also the ‘Raw’ and ‘Ultra’ are incredible on a whole other level; they are so special in that they have given me access to the mate plant’s taste is the most natural manner I have ever experienced, thus setting the true ‘bar’ of what mate is to me—no small feat, if you think about it. To this end, I am drawn to them both and each time I infuse them I am studying the whole profile of the experience: aromas, mouth feel, taste, associations and cha qi or energy notes. I still have not finished my testing to make any specific claims, but overall I am wonderfully overwhelmed and totally captivated with your Raw and Ultra–truly craft production and so very special. There are my go to mates for reflection, study or medicinal reasons. I was admittedly rather surprised at the mild flavour. I thought it would be strong or bitter. It’s wonderful sprinkled on salads! !